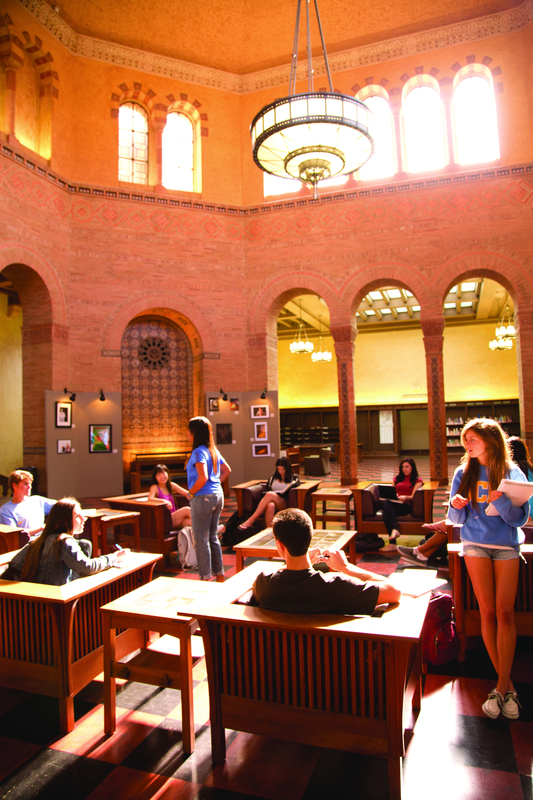 One of the many things that I love about UCLA—strike that, there’s everything to like about UCLA—is that students have the ability to literally put education into their own hands by taking up research positions regardless if it pertains to one’s major, and there are initiated student courses where current undergrads can facilitate a class. I took up a research position at the North Campus Student Research Program (SRP) during my first quarter at UCLA. Being that one of my main reasons for transferring was to research in Sociology, which is quite untraditional as research is normally correlated to science, I wasn’t able to find it in most other institutions and I was inspired to pursue it at UCLA. So, as soon as I got accepted, I upheld my personal promise to find research and looked no further than the opportunities of the SRP. Although I was quite intimidated jumping into this right away, I was pleasantly surprised how accessible it is for students to not only find research but also find research in the social sciences. I settled with Professor Walker’s sociological and economical effects of food trucks. I know what you’re thinking, am I eating food all day or what? I was shocked myself! Professors are so passionate about eclectic subjects and it’s so inspiring to be given the chance to network as well as study beside them in their research. Basically, this research is much more than the curb-side food joint as I am involved with a team of four undergraduates—who are currently studying various subjects from political science to biology, meaning that the constraints of majors are irrelevant in research curiosity—that code the menus of food trucks across three United States’ cities: Los Angeles, D.C., and Chicago. To code these menus, we start with their Twitter handles (@name) to locate Google images, Twitter images, and Web images (in regards to their website) of their menus. By looking at their menus, we get a feel of what cuisine is on their menus and are able to code them by Yelp categories (e.g. Mediterranean, Japanese, Asian Fusion, etc.) to see how the relation of their prices and cuisine type are affected by the food truck legislation of that particular city. But please note that this research didn’t come with a warning that I’d be staring at food all day, which makes me starving at the end of the 8-10 hour commitment per week. Despite that minor repercussion, I love every bit of researching. I have been working with Professor Walker for about two quarters now, and I hope to continue until the end of this academic school year to see how and where this research will ultimately lead!